ExRx.net : Are Sit-ups Safe? We began using the sit-up as a test of abdominal muscular endurance in our sports conditioning clinics for athletes (ages 8-18). Coaches and trainers in our country have warned us that sit-ups are considered dangerous. We are now considering replacing the sit-up test with a plank test for time. What are your views on this matter? A quick internet search confirms that there are concerns regarding the safety of the sit-ups as a fitness test and strength and conditioning exercise. The idea of an exercise being inherently bad is nothing new. 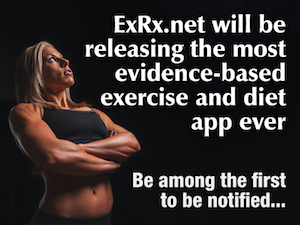 I have investigated and written about many of these exercise controversies on ExRx.net. In many cases these arguments are not substantiated by definitive proof and arise from over generalizations or misinterpretation of particular contraindications to specific populations. To adequately answer this question, we'll look at the sit-up's use in common fitness testing batteries, it's evolution since the 1970's, potential biomechanics issues, and finally provide recommendations based on the literature, principals of exercise adaptation, and common sense guidelines. Out of the 11 International Youth Fitness Testing Batteries, 4 utilize the sit-ups, 4 implement Curl-ups, 1 (PCSFN) offer both Sit-up and Curl-ups options, and 2 do not use any abdominal testing evaluation (Pate 2012). What is a bit confusing is that the President’s Council of Physical Fitness (PCSFN) version of the Curl-up was not the Crunch style exercise as it is with the other fitness test batteries. It was instead a sit-up with specific instruction for spinal flexion before the torso is raised off the mat. See President's Challenge Sit-up/Curl-up Instructions. According to Pate (2012) the PCSFN also offers a partial Curl-up option (aka: Crunch). It does not appear to be included in the President's Challenge materials (President’s Council on Physical Fitness and Sports, 2010). In 2010, the President’s Challenge fitness test was discontinued and the President’s Council of Physical Fitness was renamed President's Council on Fitness, Sports and Nutrition (PCSFN). You would think that if Bent-knee Sit-ups were so dangerous for children, that a significant number of students and parents would have reported low spinal injuries to school officials sometime during all the decades Sit-ups were performed during PE classes! If sit-ups are so dangerous for children to perform, why have we not heard any media attention on how students had been hurting themselves with a nationally endorsed physical fitness program throughout all this time? Why are there no studies examining all the injuries attributed to sit-ups in public schools for the last several generations? Could this be some sort of national conspiracy coverup? In all fairness, it has been known that sit-ups, as well as leg raises, may not be very well suited for deconditioned adults, particularly those with weak abdominal strength. During the sit-up and leg raise the Psoas head of the liopsoas can pull on the spine and may cause some discomfort if the abdominal muscles are too weak to stabilize the spine. A sufficiently conditioned abdomen counters the force that is placed upon the spine by the Psoas. However, the spinal movement caused by the pull of the Psoas in itself may not be an issue for those who are accustomed these forces acting upon the spine during bilateral hip flexor movements. Before the mid-70s sit-ups were performed with legs straight (Corbin & Pangrazi, 1992; Cureton, 1965). Recommendations of bending the legs and hips (aka hook-lying) decreases the iliopsoas' ability to hyperextend spine (Kreighbaum 1996), particularly if hip flexors are tight. In any type of sit-up, strong abdominal muscles are needed to counteract the iliopsoas' pull on the spine, particularly when the spine is not accustomed to this sort of load. However most any exercise performed with high volume, inadequate recovery, prolonged excessive fatigue, lack of systematic progression, and disregard for individualized factors will result in injury (see Injury Etiology). We have long known of the dose-response versus risk of injury for running and we know that running results more injuries when duration and training frequency are increases (Pollock 1977). See Frequency and Duration of Running, Their Effects on Fitness Improvements and Injury. Armed with this conclusive evidence, why then do we not deem running as a bad exercise? If not, how do we rationalize running is not an inherently bad exercise and why do we not have the same rationale for movements such as sit-ups? It has become too easy to label exercises as good or bad without a real understanding of exercise injury etiology. What’s worse is that so called experts misinterpret scientific research that is inconclusive, suggesting it is definitive evidence. For example Dr. McGill (2002), using cadaver pig spines suggests that repeated bending of the spine, supposedly analogous to the movement of the crunch, can over time contribute to damage of the spinal discs. When cadaver pig spines were placed in machines as part of a series of recent experiments and bent and flexed hundreds of times, the pigs’ spinal discs almost always ruptured, eventually. Despite McGill's findings on pig spine models, the 'Crunch' exercise along with other spinal flexion exercises, known as the 'Williams Flexion Exercises' have been a cornerstone in the management of lower back pain for many years for treating a wide variety of back problems, regardless of diagnosis or chief complaint (Wikipedia 2017). McGill claims that exercises such as the sit-up and back extensions, which incorporate spinal articulation under a load, are dangerous by citing studies showing these exercise can squeeze the discs in the spine (McGill 2002, Bates 2015). However, Dr. Nelson studies on actual human subjects experiencing chronic low back pain demonstrate that systematically progressive torque forces applied to the spine through full range of motion movements under load strengthen the spines structure and surrounding musculature, thereby rehabilitating and protecting the spine from future injury (Nelson, 1995). Nelson (1995) explains the avoidance of articulating the spine through a full range of motion during exercise is a short term solution which promotes deconditioning and consequently, deterioration of the joint structures. Like muscles, joint structures are not inert and require progressive adaptation to prevent deterioration and to further strengthen structural integrity. Risk of injury arises after deconditioning or when specific measures of progression and recovery are not utilized. See Adaptation Criteria. Proponents of the anti-sit-up movement recommend replacing the sit-up with the plank. The problem with replacing the plank with traditional abdominal exercises is that the plank does not strengthen the abdominal muscles and spinal structures through a full range of motion. In addition, when working with young athletes, the plank also has arguably limited transferability to sports performance or core stabilitazion during weight training. In prescribing exercises for sports conditioning or selecting fitness test for evaluation, we must understand the principle of Specificity. The principle of Specificity involves utilizing specific biomechanical movement pattern and metabolic demands that emulating particular components of specific sports activities sport or future anticipated conditioning exercises which will eventually emulate such requirements. See Training Specificity and Sports Conditioning Needs Analysis. With few exceptions, core muscular contractions during athletic activities are typically intermittent lasting less than 1 second. Similarly, core muscular contractions during key strength and conditioning movements such as the deadlift, squat, and clean (which are a part of a modern sports conditioning regimen) are also intermittent and rarely exceed a few seconds with concomitant rest intervals of a few seconds. In contrast, the plank is an isometric exercise utilizing a single static muscular contracted in a fixed position (i.e. no range of motion). The sub-maximal static muscular contraction during the plank utilize somewhat different metabolic pathways of the near maximum intermittent contractions required during competitive sports and most strength and conditioning exercise utilized for sports training. Contraction pattern durations for sports and weight training activities are far less than what is being utilize in during the plank. Notable exceptions in sports include wresting and mountain climbing. Furthermore, peak intensities of core musculature are typically greater during sports activities and key strengthening conditioning exercises compared what can be achieved during the plank. The participants ability to increase strength in the plank is stagnated by the planks relatively excessive static endurance requirements at a fixed intensity. Furthermore, avoiding articulation of the spine under a progressive load (i.e. : not including exercises which involve spinal articulation) will in fact compromise joint integrity and increase risk of lumbar spine injury in the long run (Nelson, 1995), particularly when weight training is performed regularly. American College of Sports Medicine (1995), as well as leading weight training authorities such as Fleck & Kreamer (2004), have recommend full range of motion resistance training providing multiple benefits. See Range of Motion Specificity. If you still required a test of core strength and insisted on eliminating the sit-up test for whatever reason, the FMS Trunk stability Push-up assessment would be a better assessment of core strength in athletics compared to the Plank test. Sit-ups and related exercises are typically considered staples in weight training and strength and conditioning programming. Interestingly, the risk of weight training participation is far less than most sports activities. See Injury Potential of Weight Training and Sports Injury Rates. If there is a genuine concern of injury reduction for youth, sports participation should be banned before weight training exercise such as sit-ups are eliminated, which sports and weight training injury statistics would suggest (Hamill 1994). The physical condition of the performer dictates how safe and effective these exercises will be in strengthening the abdominals. No exercise should be continued if the performer experiences pain when attempting it. In most cases, these individuals generally do well by first sufficiently conditioning the abdomen with crunching exercises (eg: Crunch) before hip flexor movements such as sit-ups and leg raises are introduced later into their programs. Curl into the upright position by first lifting the head and neck, then lifting the thorax, then lumbar, and finally the pelvis regions.. In timed sit-up tests when the goal is to perform the greatest number of repetitions, even moderately strong individuals may experience lumbar hyperextension toward the end of the timed test due to the abdominals weakening with fatigue. In fact, electromyographical studies of the abdominal and hip flexor muscles during various abdominal exercises show that lumbar hyperextension occurs before the execution of all sit-up variations including straight-leg, bent-leg (hook-lying), legs elevated, and curl-up positions (Kreighbaum 1996). However, in my professional experience, administering tests and prescribing exercises to youth and young adults, the sit-up has not presented any more orthopedic issues than any other exercise or fitness test. There will always be a small percentage of children that will experience orthopedic issues on most any fitness test or exercise you administer or prescribe. If you eliminate every test or exercise in which a participant cannot perform for an individualized orthopedic issue, you will be left with very few tests or exercises in which to administer or prescribe. There are some who cannot perform certain exercises without perform certain exercises without discomfort or risk of pain. Examples of exercises that have given a significant percentage of people problem include but are not limited to the deadlift, squat, leg extension, bench press, shoulder press etc. The sit-up is no exception. Does it make sense to deem all these exercises bad and claim that all these exercises should not be performed by most people? Those who have had personal issues with performing a sit-up may find it difficult to believe that others have no issue. These are generally the same people that tell us not to perform the sit-up? Your protocol protocol should be flexible enough to allow a participant to forgo a particular test if they experience undue discomfort or believe it is contraindicated for their unique situation. An alternative test can be considered. 1) Administer the Sit-up test. 2) Administer the Curl-up test instead of the Sit-up test. 3) Drop the Sit-up test and consider the FMS Trunk stability Push-up assessment as sufficient. 4) Perform the Sit-up test only if they score a 2 or 3 on the FMS Trunk Stability Push-up Assessment (indicating sufficiently strong abdominal to safely perform Sit-ups. Possibly perform curl-ups if they score a 1 on the Trunk Stability Push-up. Being extra prudent would require a score of 3 to perform sit-ups. Apart from this issue, if you want to establish yourselves as leaders in this field, my recommendation is continue to question everything as you have been doing, do not cave to popular opinion particularly when you have enough information to form and defend your own position, and avoid changing your program to accommodate the lowest common denominator. Instead modify the protocol according to those individuals with special needs. Embrace the evidence based approach supported with a balance of knowledgeable coaching experience and available science. From this information, educate the your participants (the future coaches of your country), their parents, your prospective clients, as well as your skeptics. Corbin CB and Pangrazi RP (1992). Are American children and youth fit? Research Quarterly for Exercise and Sport 63(2):96-106. Cureton TK (1965). Physical Fitness & Dynamic Health. The Dial Press, 39. Fleck SJ, Kraemer WJ (2004). Designing Resistance Training Programs, Human Kinetics Publishers, 3. Hamill BP (1994). Relative safety of weightlifting and weight training. J Strength Cond Res. 8:53–57. Kreighbaum E., Barthels KM (1996). Biomechanics; A Qualitative Approach for Studying Human Movement, Allyn & Bacon, 235-238. Pate R, Oria M, Pillsbury L (2012). Fitness Measures and Health Outcomes in Youth. National Academy of Sciences.Washington DC, Table 2-6. Pollock ML, Gettman LR, Milesis CA, Bah MD, Durstine L, Johnson RB (1977). Effects of frequency and duration of training on attrition and incidence of injury. Med Sci Sports Exerc. 9(1):31–6.